While Ralph (Reilly) is quite content in this daily repetition, Vanellope (Silverman) confesses she wants more out of life and some new excitement rather than following the same paths in life (and her game). With that Ralph takes matters into his own hands and creates a new track for his best friend, only for things to go a little out of control when Vanellope’s player accidently breaks the steering wheel of her game and the arcade owner being left with no option but to close down Sugar Rush, for good. Ralph is devastated at what has happened so he and Vanellope decide to find a solution themselves by going into the internet to seek another steering wheel from Ebay…not quite understanding how the internet works. 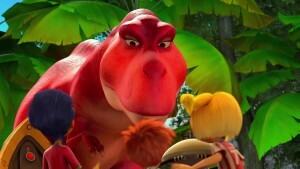 Much like the influx of computer game characters from the first movie, Ralph Breaks the Internet sees plenty of cameos from Sonic the Hedgehog and Star Wars characters to Disney Princesses and Toy Story. You are given a new perspective on these animated characters, such as when the Princesses are hanging out and having a girly chat. They are almost portrayed as people with day jobs rather than characters from movies. There are of course plenty of smiles created in this tale; from Sonic the Hedgehog explaining what WiFi is, the Twitter birds cheeping and Disney Princesses having a discussion on what makes a princes; this part actually makes you realize how similar and repetitive some Disney features are. This sequel to the 2012 film see’s advancement in technology as a large aspect, as these characters were created many years before Ebay, Twitter and Google were flying high with the world’s population. Watching an individual learn how things work from pronunciation to pop ups, actually gets you into the mindset of what if the internet really does work like this? Imagine if each time we log into some type of website there is a small caricature of us that skips from one section to another, influenced by the videos and images, having our protectors (Anti-virus) smacking away of those nasty pop ups that want to take us to the underbelly of the dark web and strip away our private information; you can literally visualize the worms and snakes that are looking at the dark aspects of the Internet. 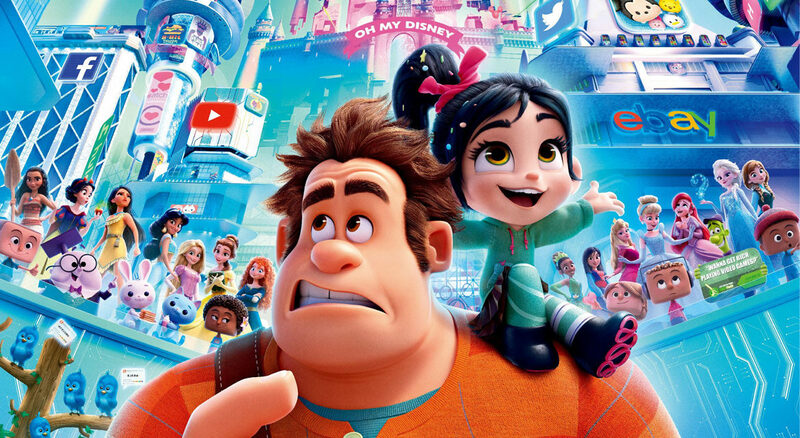 Ralph Breaks the Internet builds on the core characters and their relationships with each other and their game that was explored within the first movie. This heart-warming tale looks at how one friend tries to help another but it ends badly and they go all out to aid them in making it better. However, the relationship of these two main characters changes when one wants to stay in a new game and the other wants things to remain the same. This causes a virus infestation through jealously and resentment in a way that could literally break the internet. From a child’s perspective Ralph Breaks the Internet is another creative animation from Disney that will include lots of pop culture references and fun loving characters. For an adult, this movie actually gets the mind boggled and has you contemplating various questions. Where is the internet? What if it really is another reality that our computer personas can visit? Are we really that reliant on Twitter, Facebook and other social media websites? Is a virus really an eel like creature that slithers from one site to another looking for inaccuracies it can pursue? For an animated feature it will likely encourage younger children to understand the internet a little more but for adults, it poses a lot of questions!